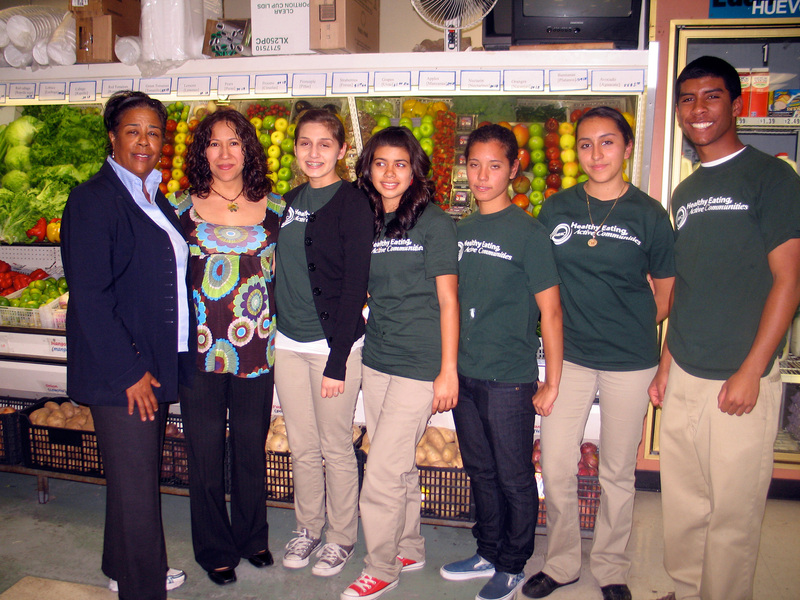 While creating media about the South LA food environment, HEAC’s Youth Ambassadors started changing it for the better. 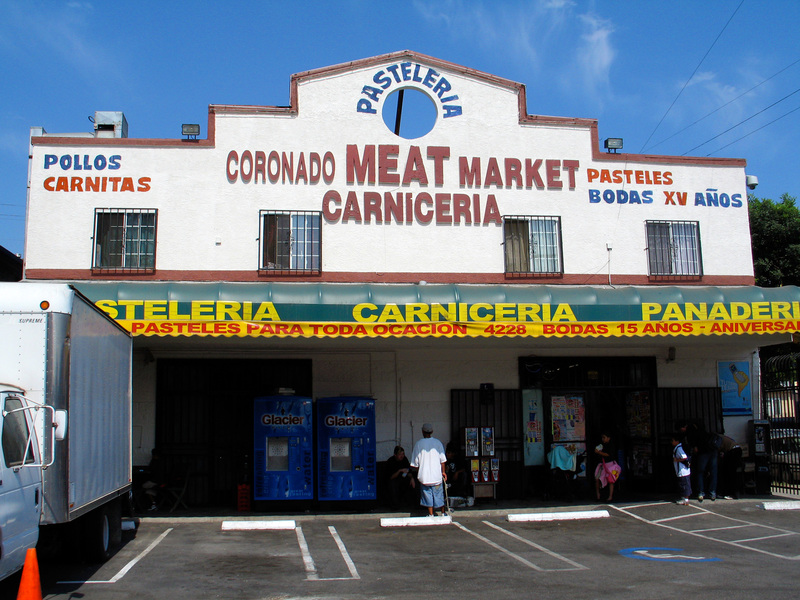 HEAC Youth Ambassador Magali Bravo approached her padrino, or godfather, about making over his store, Coronado Meat Market and Bakery, to carry health food choices. 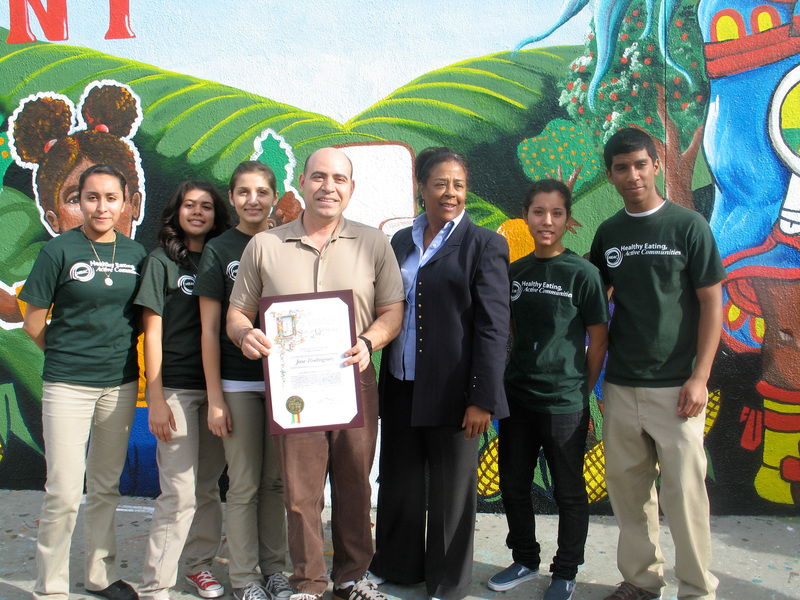 With his consent, the first Public Matters and South LA HEAC Market Makeover was born. 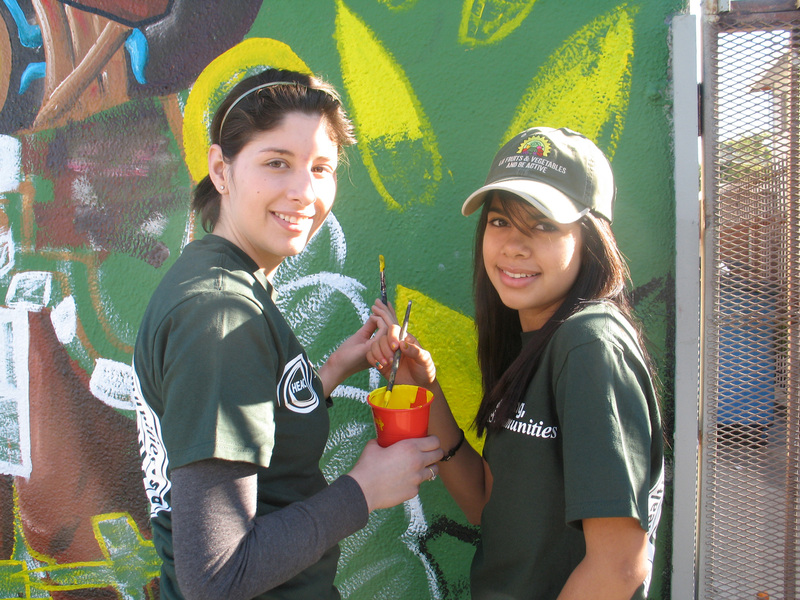 Market Makeovers are comprehensive actions that blend education and leadership development, community engagement and transformation of local corner stores. 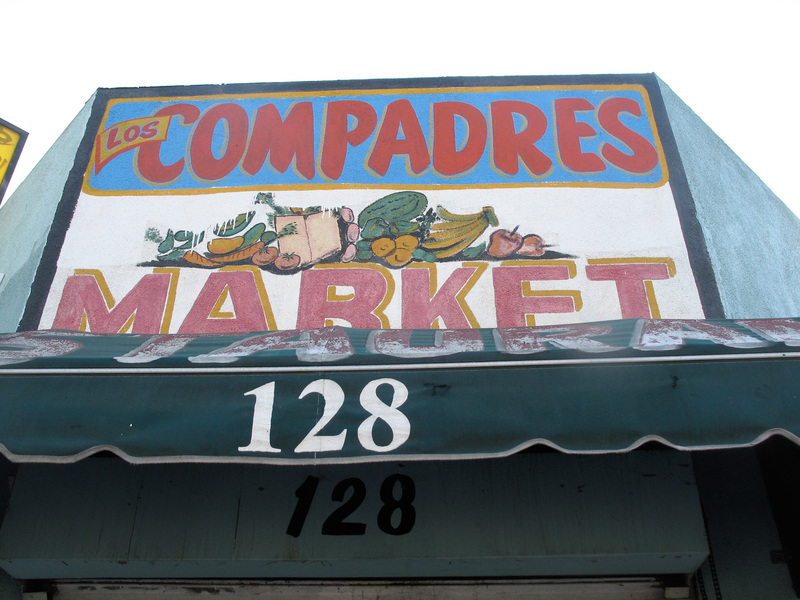 HEAC Youth transformed two markets: Coronado and Los Compadres Market, a store directly across the street from the students’ school. The stores offered limited, or no, fresh produce. After the Makeovers, the first thing one encountered upon entering the market was a produce display, rather than a junk food display. Produce inventory was significantly increased. Junk food was pushed to the back. Ads for unhealthy choices were removed. Bright color treatments and a mural at Los Compadres created a more enticing look and feel to attract families and new customers.